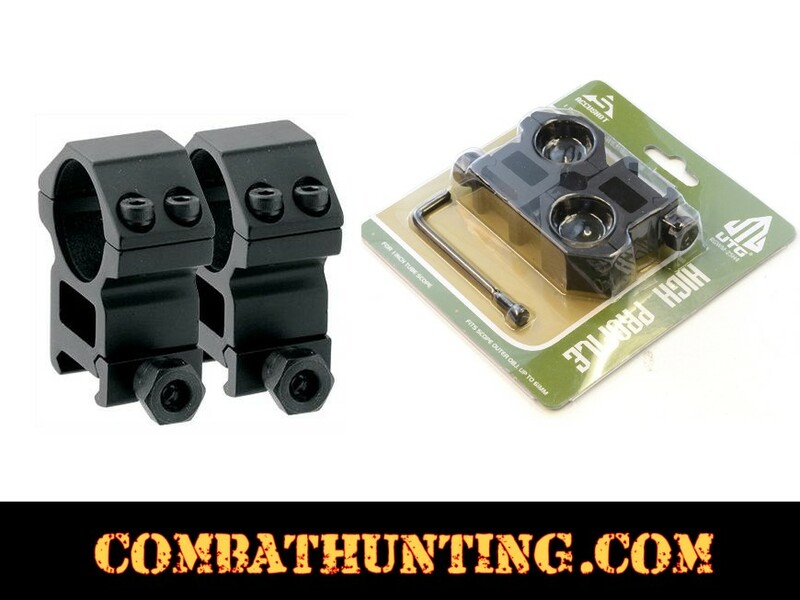 Leapers Accushot RGWM-25H4 UTG High Profile Picatinny Weaver Rings for 1-Inch Scope Tube. Comes with 2-Piece See-Thru UTG Accushot Scope Rings, Fits Scopes up to 56mm objective, 4 Top Screws For heavy duty recoil. Scope ring Fits All Picatinny/Weaver Rails. Precision Machined from Aircraft-grade Aluminum Alloy with Anodized Black Matte Finish. Limited lifetime warranty. Scope Rings have a 1" Diameter, Fits Scopes With objective up to 56mm.